The woman’s voice grew cold and stern. “Kill Project Genesis." 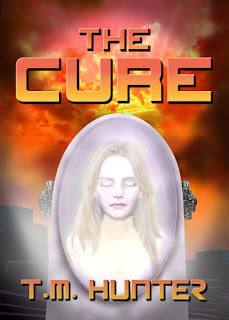 A death cure? How intriguing.... I see how the religious zealots may have a problem with that. Having popped over to The Cure's page, I completely understand her motivation though. This reminds me of discussions with my kids - you know they're lying but they just refuse to admit it. I'm sure she has good reason though. I agree! Stop it! Stop it now! A death cure would indeed have dire consequences. The silly adverts are already playing over in my head. Thanks, guys, for stopping by! I can't imagine being immortal. It must get quite boring after a while... Nice little tension building here. Good stuff as always! Oh dang. this is one of these scene that makes you go "dun, dun ,dun"
TK, I can't imagine being immortal and having to continue to try and pump out new books year after year...that would be exhausting!